INFORMATION-SURPRISE YOU CAN BURN 1000 CALORIES A DAY DOING THESE 7 SIMPLE ACTIVITIES, WITHOUT GYM ! YOU CAN BURN 1000 CALORIES A DAY DOING THESE 7 SIMPLE ACTIVITIES, WITHOUT GYM ! You might be surprised to know that you don’t need to go to the gym to stay fit. Your daily activities burn calories and can add up to a personal fitness routine. Research indicates there are a number of everyday activities that, if done correctly, will burn 200 or more calories in 30 minutes to an hour. 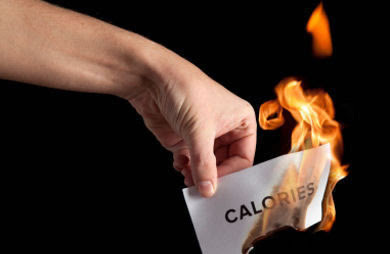 Check out the following activities and the number of calories they burn. (Note: Calories are based on a 150-pound person. If you’re heavier, you’ll burn even more). Badminton is a very fun activity which can burn quite a number of calories. The longer the game is played, the more energy that will be burned. Play badminton at a moderate intensity for one hour, you will burn approximately 400 calories. Playing badminton for an hour will burn three times more calories than working out in the gym for the same period of time. You burn 47 calories in 30 minutes of standing in line and 260 calories in an hour of grocery shopping with a cart. Bag your own groceries, take them out to the car yourself, and return the cart to the corral, and you’ll burn even more. Washing your car works your arms and abdominals. Simply rinsing, washing and drying your car can burn 334 calories in an hour! So the next time there’s a long line at the carwash, take a hose and a bucket of soapy water and get to it. Vacuuming the carpet will help tone your arms and legs and burn calories, especially if your vacuum is heavy. An hour of vacuuming burns approximately 180 calories, the same amount you’d burn in 30 minutes of kick boxing. Dancing is a great cardio exercise that tightens and tones the muscles. You can burn 150 to 400 calories dancing for 30 minutes. It depends on how much you weigh, how hard you work, the type of dance, and the number of breaks you take. Aerobic dance can burn upwards of 443 calories per hour. Your favorite childhood playground game is actually an incredible workout. Depending on your pace and intensity, it can burn about 300 calories in 30 minutes. Throwing your laundry in the washer, the dryer and then folding it can burn more than 200 calories. And if some of your laundry needs to be pressed, add on another 140 calories for every hour you spend ironing.